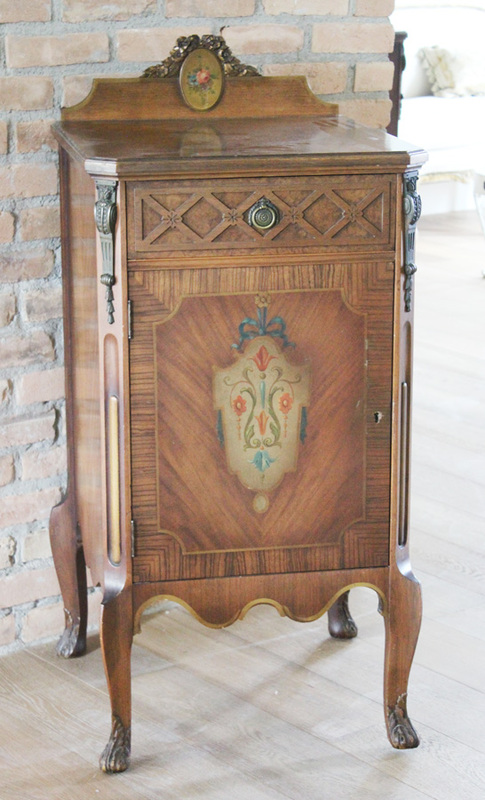 You are purchasing both of these beautiful antique French music stands. 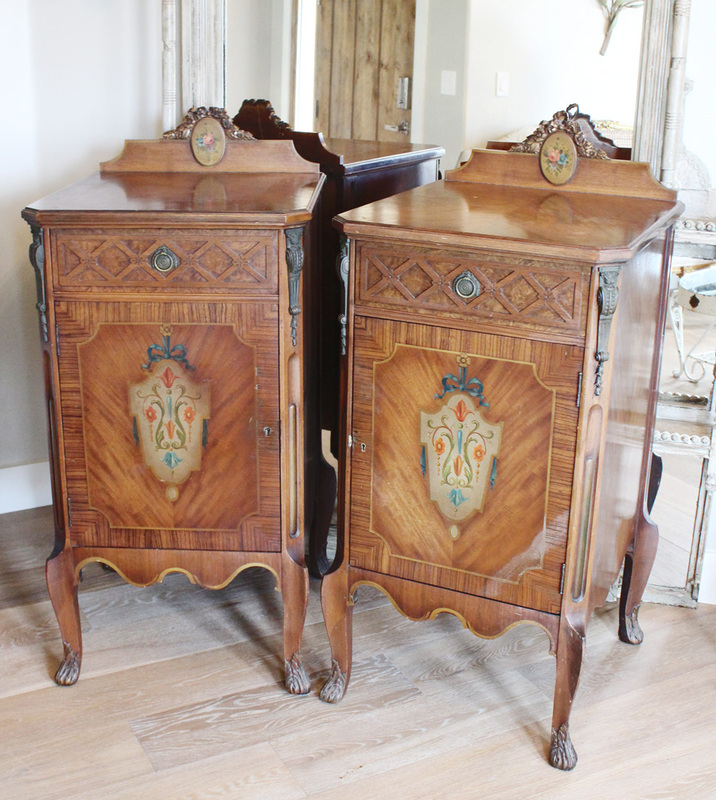 Handpainted and hand carved and accented with the original bronze hardware these are just beautiful. 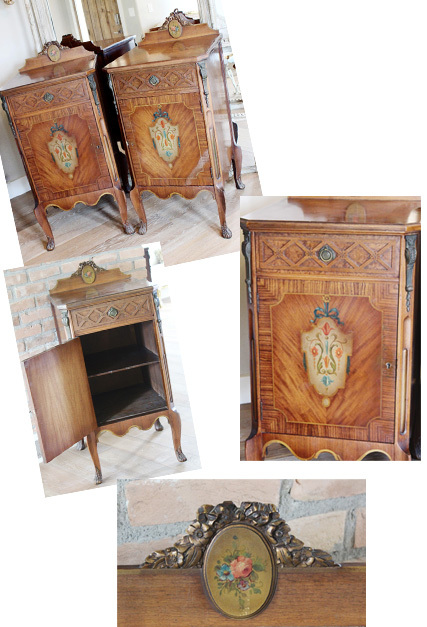 They would make stunning nightstand to a grand king bedroom. Or beautiful side tables etc. A beautiful pair, One key fits both stands.